XCVI runs six stores throughout California and Arizona, in which they utilize Springboard Retail’s mobile POS, custom dashboards and robust reporting - making real time actionable data available on store performance, customers and inventory. 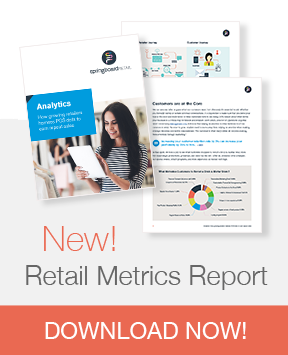 Springboard Retail gives corporate headquarters better insight and more control, and also allows store associates to make more intelligent product recommendations for customers on the sales floor – increasing profitability and customer satisfaction. Founded in 1996 (or XCVI in Roman numerals), XCVI is a casual chic lifestyle brand for women who believe in style, but also believe in comfort. Sold in over 1000 boutiques and department stores throughout the United States and Canada, XCVI fashions clothes for the confident, the bold, and the adventurous. XCVI is about luxury, wearability, comfort. The luxury of super-soft, breathable fabrics that drape without clinging, skimming a woman's curves, flattering her body. The wearability of clothes that mix-and-match or work as a complete ensemble. We create clothes that can be worn every day – in a thousand different ways. Clothes that feel comfortable all day long. Clothes that can be worn from day to evening, can be dressed up or down. Clothes that are versatile.